It’s 10 days before my 16 month check with Dr. Sheila. This Friday I will have blood taken and the Friday afterward I will get the results and be poked and prodded at the cancer centre. I have no reason for anxiety. I feel well. My physical body seems to be in as good condition as I could hope at this point. However, the anxiety is there. We have some news. There’s a new puppy in our lives. 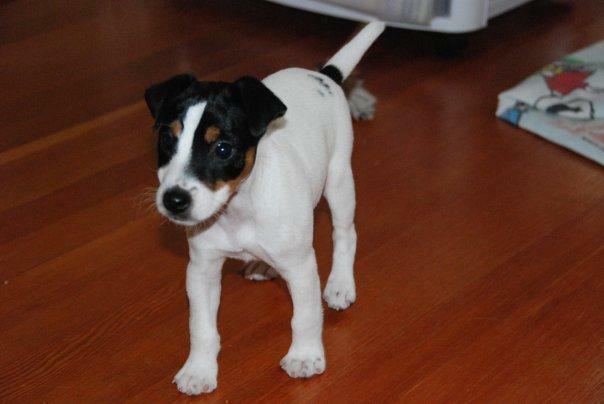 Her name is Daisy and she is an 11 week old Jack Russell Terrier. Poor Otis has had his life turned upside down. She is as evil/cute as a JRT puppy should be. I’ll post again after the blood test and again after my check up. Wish me luck.